Come learn about the ease and many benefits of composting and leaf mulching! Info Session, noon to 2 pm at John Jay Homestead. 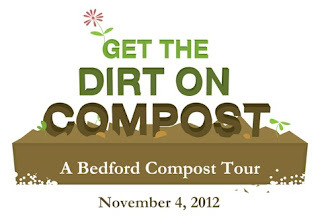 Tours of composting styles at local homes, schools and farms. Click here for more information and to Register Now! MJ Wilson, Master Compster, will be discussing composting. Tim Downey, of Aesthetic Landscape Care, will demonstrate leaf mulching. Drive to and visit your choice of 9 homes, schools and farms, and see how they turn yard and household food waste into valuable compost. Get inspired to start composting!